How can we actively engage students in the assessment process and use that data to inform lesson and assessment design? 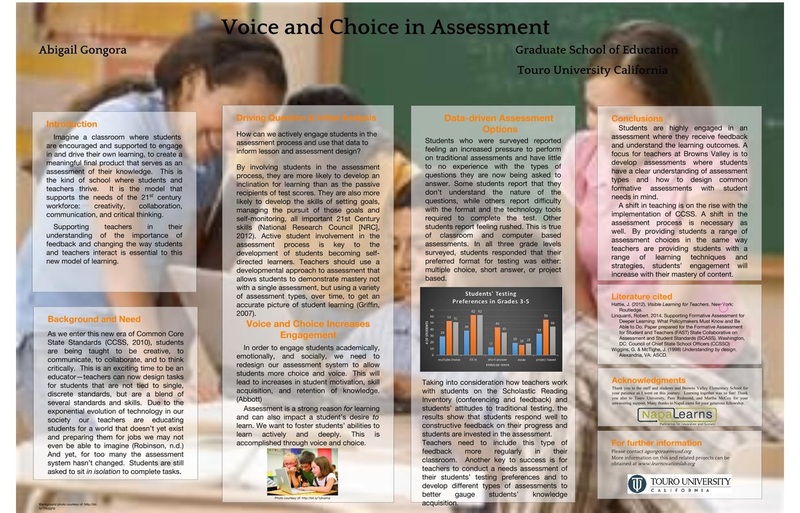 By engaging students in the assessment process teachers are unlocking their students' potential. As we enter this new era of Common Core State Standards (CCSS, 2010), students are being taught to be creative, to communicate, to collaborate, and to think critically. This is an exciting time to be an educator—teachers can now design tasks for students that are not tied to single, discrete standards, but are a blend of several standards and skills. Due to the exponential evolution of technology in our society our teachers are educating students for a world that doesn’t yet exist and preparing them for jobs we may not even be able to imagine (Robinson, n.d.) By engaging students in the assessment process teachers are unlocking their students' potential.